Have you ever sat down to think of a new exciting appetizer to bring to a party and come up with nothing? It always seems to be the same Rolodex of ideas circling in your mind. The same dips, chips, and veggie trays. Thankfully we have stumbled across an idea that will make you look like a Pinteresting pro! 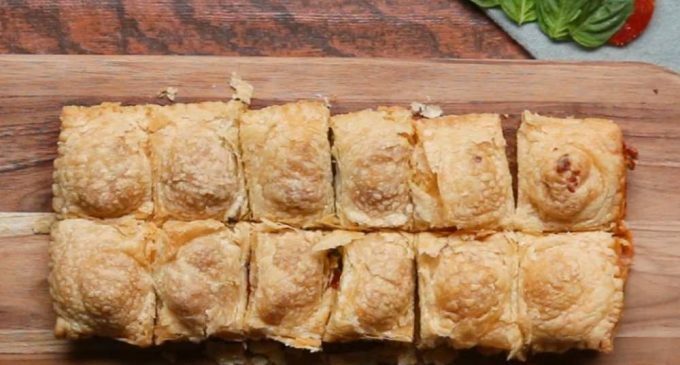 These Super Simple Savory Pastry Pockets are one of the best ideas I have seen in a long time. Not only is it as simple as it claims but they are so unique that they are a hit wherever I take them. Not only are they a hit with my friends but also with my family. I have gotten requests for them at family functions as well as dinner parties. The only thing you need are a few ingredients and a couple of ice cube trays and you are well on your way to an amazing appetizer that takes little to no time at all. Break out that pen and paper and let’s take a quick look at how to go from bland to brilliant in a few simple steps.